That's it. No more CWS games at the 'blatt. 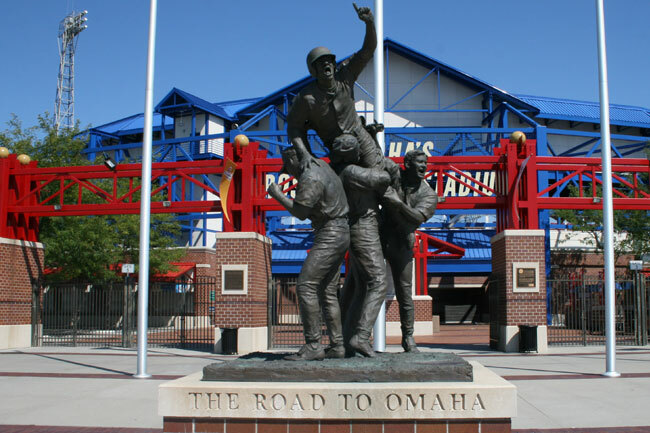 Nebraska in June really doesn't sound too appealing, but being around Rosenblatt for the College World Series is something that future generations will never get to experience, and I sure missed being there this year. I love the fact that everything is staying in Omaha, but it won't even be close to the same experience that it was on south 13th street. There's something about parking on a former heavyweight fighter's lawn, watching pink flamingos and everything in the middle. It makes it even tougher when I have a good friend back home that was giving away free tickets and I couldn't do a thing about it. TD Ameritrade Park will probably be great and top of the line, but having it be five feet away from the sidewalk and two main streets should never be a model for a new stadium unless you're the Rockies and playing in LoDo. Downtown Omaha will bloom though, which is great since it's one of best downtowns that I've ever been to. 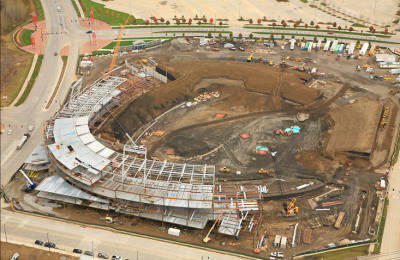 Thanks for being awesome Rosenblatt. You'll be missed.